Microsoft Office 365 is a fullly featured suite of Microsoft applications as well as a variety of communication and collaboration tools such as Exchange Online, SharePoint Online and Skype for Business, allowing you to work from anywhere, at anytime and on any device. Paying a monthly or yearly subscription entitles you to familiar tools (Word, Excel, PowerPoint etc.) with enterprise class email, online conferencing, storage and file sharing. There are a wide range of Microsoft Office 365 related products. What’s in it for me? How will I benefit from this? How to manage purchasing the licenses correctly to ensure they are up to date and compliant? To help you get more out of this cloud-based solution, HSM IT Solutions can manage your entire set-up, management, maintenance and billing on your behalf, ensuring it continues to get results well into the future. As a managed client, HSM IT Solutions provides you support for the products directly, instead of long waits on Microsoft’s support team. HSM can provide your team with ongoing support and management of Office 365 to give you peace of mind. 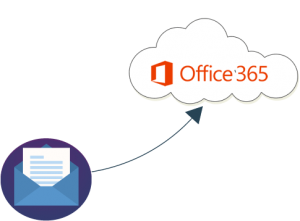 We start by scoping the Office 365 plan that is most suitable for your business and then setup your Office 365 subscription, if one does not already exist, streamlining the whole process on for you. We analyze your current email infrastructure and design the proper email plan, configuration and maintenance. Additional email spam filter based on your business requirement can be added. 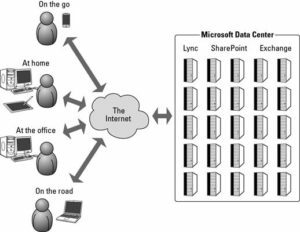 SharePoint is a web-based application that provides business a secure place to store, organise, share, and access information from any device anywhere. We specialise in setup and management your site. Get the solution that is right for you. We will customise the solution that is right for your business. Will setup and configure the service for you whether it is a simple application installation or email platform setup. We can provide your team with ongoing support and management of Office 365. Instead of spending long hours with Microsoft’s support, our dedicate team can resolve your issue. Don’t know if it’s right for you?